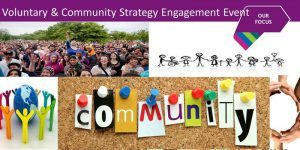 This strategy outlines how we want to work in partnership with voluntary and community sector (VCS) organisations and groups. It has been informed by research and engagement across the sector and by the priorities of the council and its partnerships. The report to the council’s Scrutiny & Overview Committee on the development of the strategy may be viewed here. We want to see a thriving VCS, with improved community cohesion and the foundations of wellbeing and resilient, empowered, supportive communities. We will play our part to support the sector. However, this strategy is not about telling the VCS how to operate. Instead, the priority outcomes set out here are intended to provide an open and honest framework for prioritising our support and resources for working with the sector to deliver for Croydon. Policies and commissioning prospectuses will be developed within the framework of this strategy in consultation with the sector.